DUBLIN-CA–Juliette Gordon Low organized the first Girl Scout troop in Savannah, GA in 1912. Over one hundred years later, there are close to 2 million Scouts actively participating in the United States. Further, the movement has spread to over 100 countries around the globe. The Girl Scout mission centers on building girls of courage, confidence and character who make the world a better place. Q: Why do you like being in Girl Scouts? Q: What are some of the fun activities that you get to do? Q: You troop is currently involved in a very important project called “One Warm Coat.” Why did 31193 agree to take this on? So, in the spirit of providing community service, it often makes sense to partner with other organizations. One Warm Coat actually has its genesis in San Francisco. It started in 1992 with a Thanksgiving weekend coat drive. Today, they provide a platform and an online guide for any group that wishes to contribute/participate. 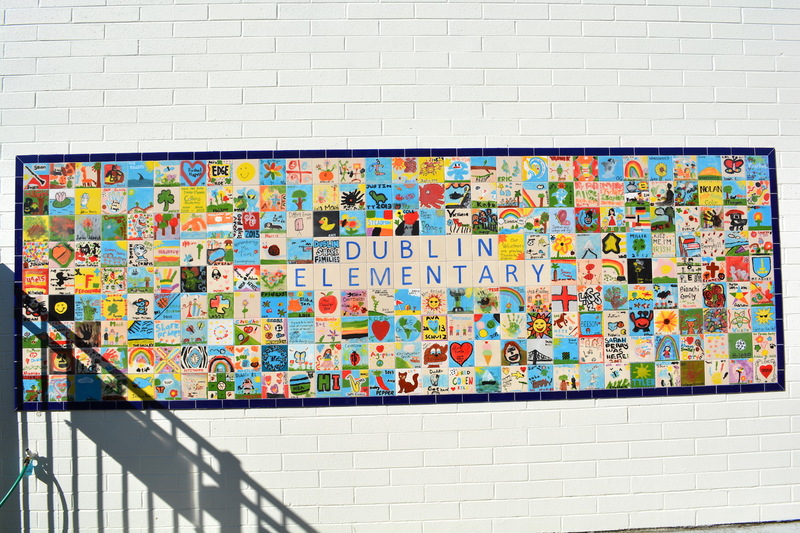 At Dublin Elementary School, the coat bin resides in the multi-purpose room right adjacent to the stage. Donations will be gladly accepted through February 19th. To gain further insight this troop’s activities, we reached out its leader, Kathy Goldstein. For Kathy, this is a second go around. She not was the leader for her daughter’s troop, but is continuing on in the role with her granddaughter as a member. 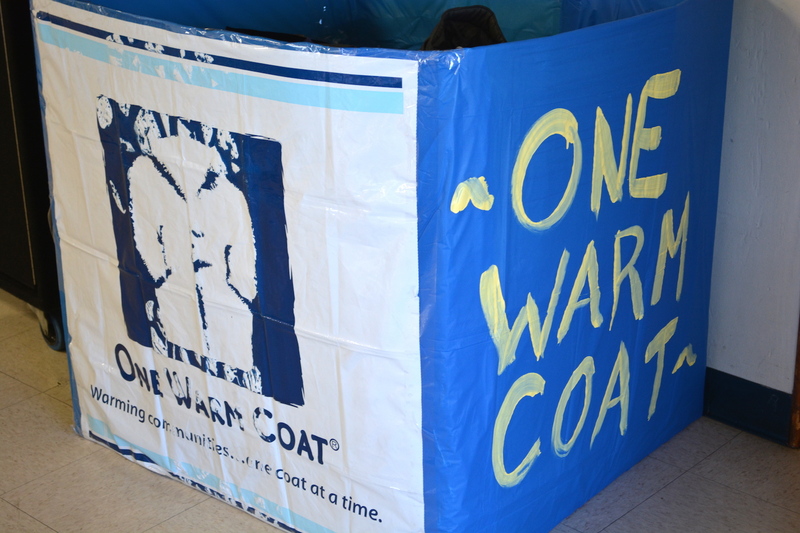 OneDublin.org: Please explain how and why the Troop agreed to participate in the One Warm Coat program. OneDublin.org: The feedback from the girls is that they enjoy working on projects and spending time together. Please cite examples of how they have shared their time over the past few years. OneDublin.org: As young Scouts approach middle school, it is an unfortunate and common phenomenon that some lose an interest in the organization and also in the subjects of math/science. How will GS Troop 31193 help to keep these fires burning within its members? OneDublin.org: One of the great Girl Scout traditions at this portion of the year is Cookie sales. 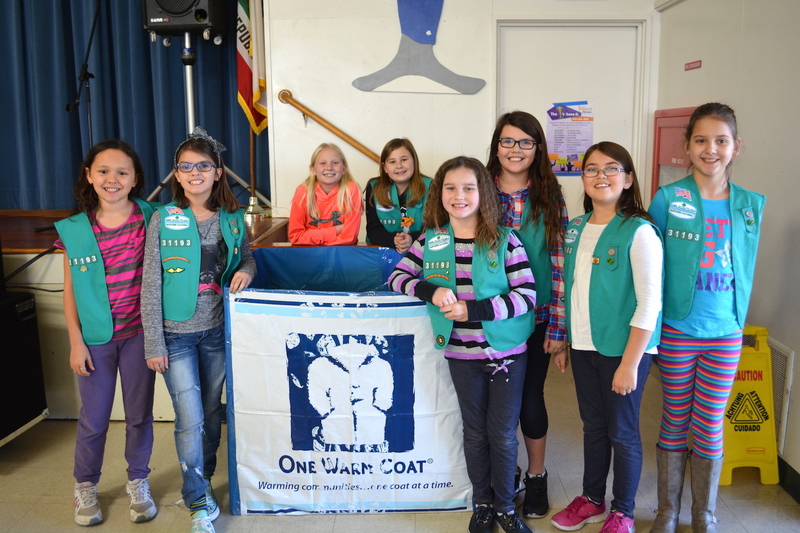 How and where will Troop 31193 participate in this drive? For those that may be unaware, why are Cookie sales so critical to the success of each individual troop? We cited the Girl Scout mission in the first paragraph of this story. It is clear that these young ladies have embraced this spirit. The troop will continue to accept donations through February 19, 2016. 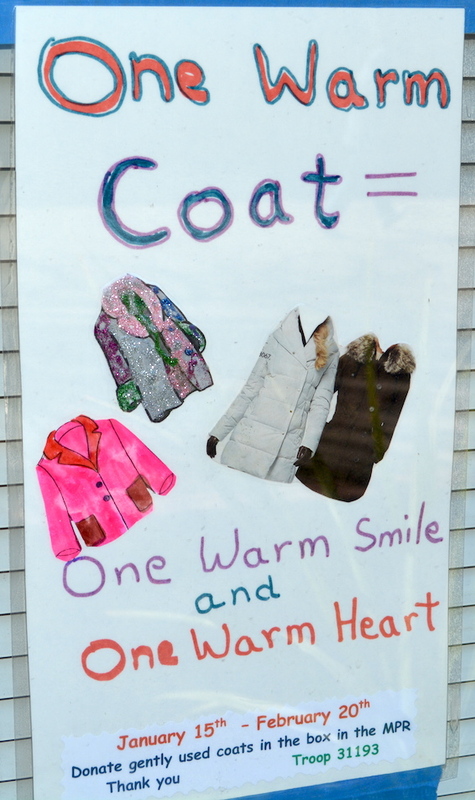 Coats may be dropped off in the bin or brought to the school office. OneDublin.org would like to thank Troop Leader Kathy Goldstein and parent Tracy Avelar for their contributions to this profile. Of course, we would also like to acknowledge the members of GS Troop 31193: Audrey Atherton, Adrianna Avelar, Gabriella Avelar, Aitana Ladron de Guevara, Naomi Mangini, Erika Maurice, Sienna Munsell and Kylie Nunemacher. Thank you for making this winter a bit warmer for some of your fellow citizens.